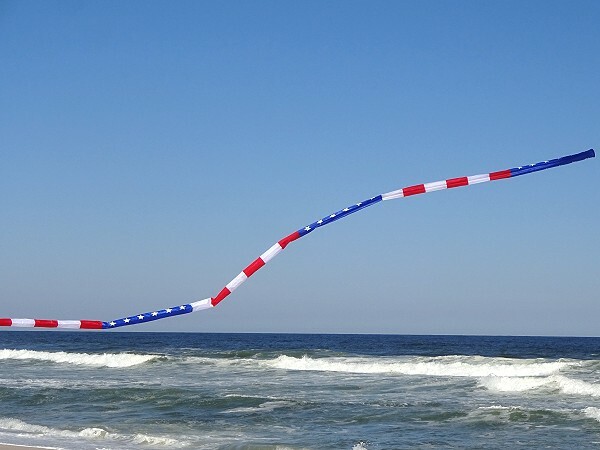 These 20 foot Tube Tails are a great addition to any Red, White and Blue themed kite with a wingspan over 5 feet. 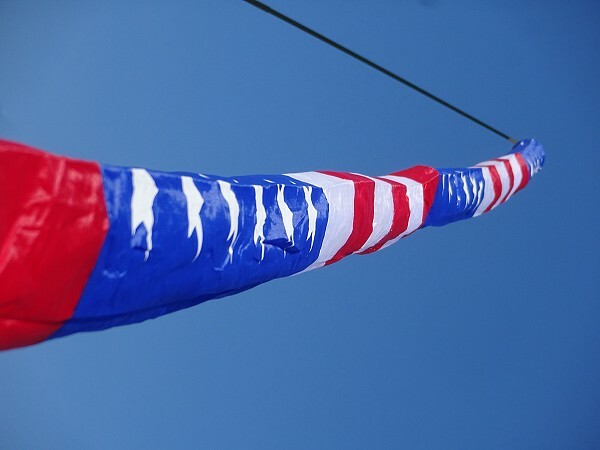 Attach to the bottom of the spine for a mesmerizing flowing effect, or use with a telescopic pole. 3 sections each of Red & White stripes and White Stripes on Blue.